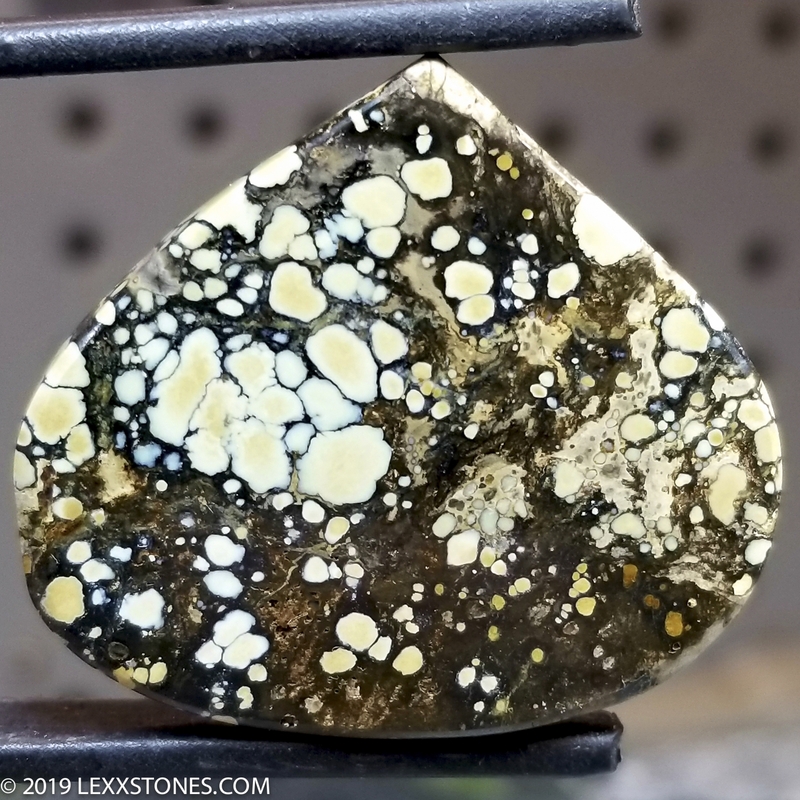 Here for your consideration is a lovely Orion Variscite cabochon. Discovered by our friend and intrepid prospector Rodney Frisby some years ago, this colorful hydrated aluminum phosphate comes from his claim in the Candelaria district of Nevada. 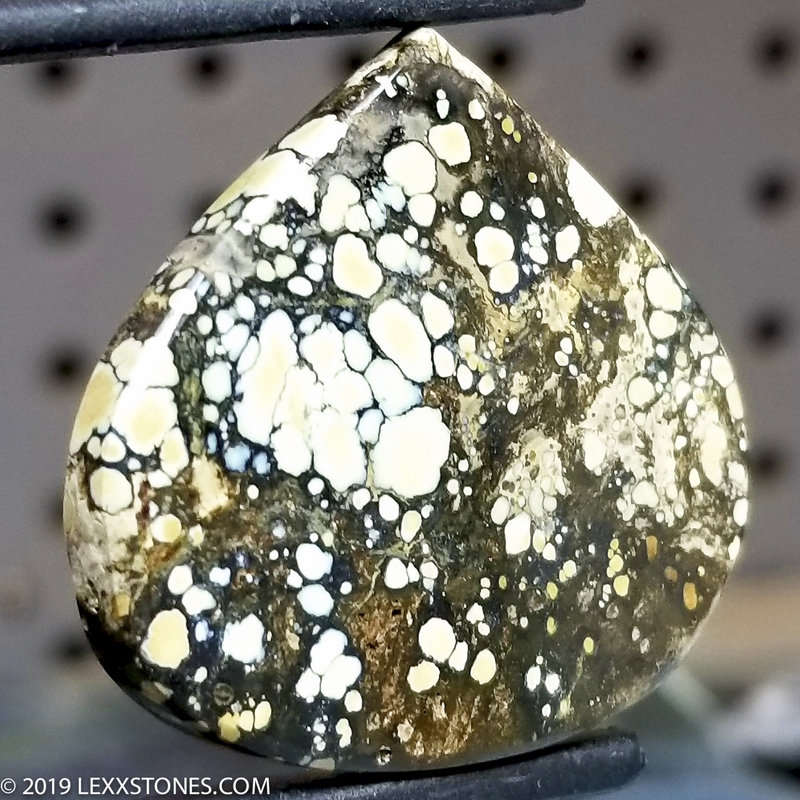 Variscite is one of the rarer and lesser known gemstones in today's market, but this one is a hit. These colors are natural and this stone is NOT dyed. 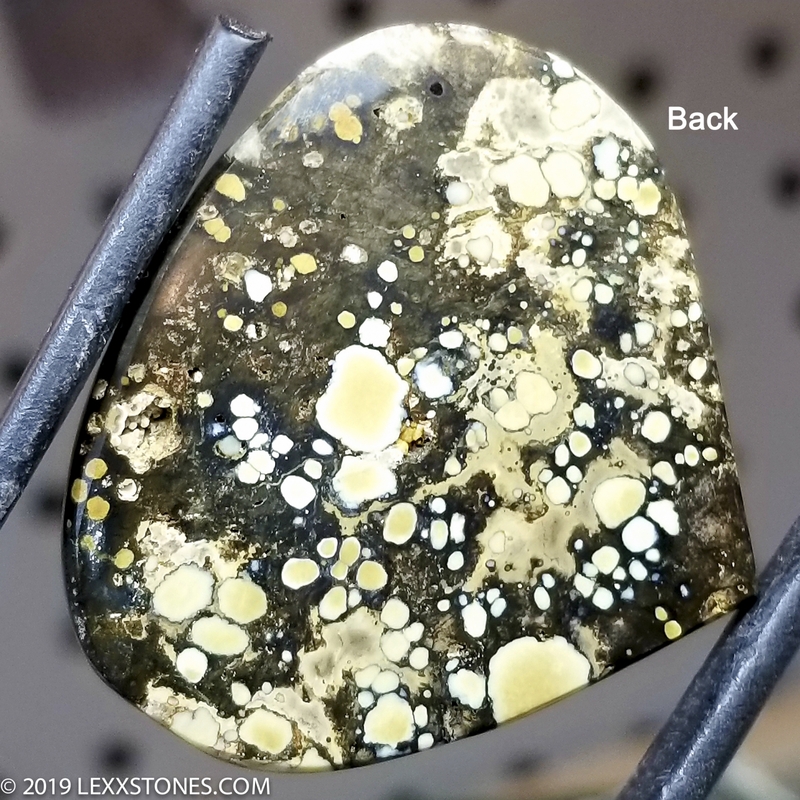 This cabochon is not a composite and not backed - it is 100% Orion Variscite. It does have some minor natural pitting because it is unstabilized and NOT glued. Flat radius dome. Lustery polish front and back.